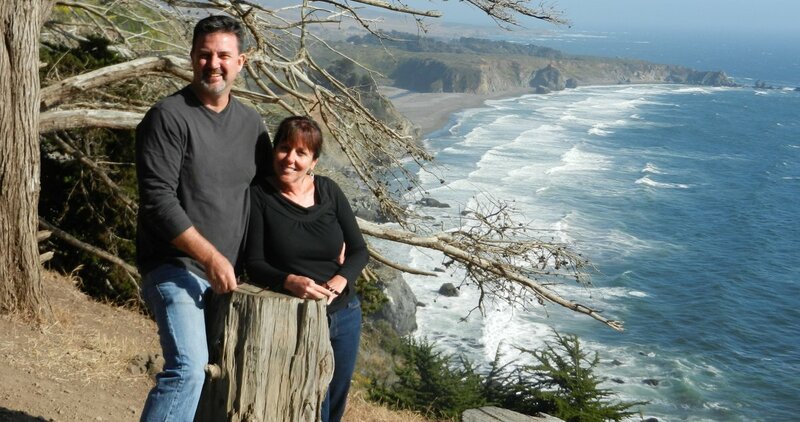 The first part of our getaway, wedding, and honeymoon was a road trip from San Diego to Big Sur. We drove up Interstate 15 initially, which isn’t the most scenic, but it did lead to a good visit with family. After catching up and getting lunch we headed west and picked up the Pacific Coast Highway at the end of Interstate 10, in Santa Monica, which is one of my favorite places. Even though we planned to stop, we changed our minds and decided to keep going to explore new places together. That is the beauty and freedom of a road trip! The coast between Santa Monica and Point Mugu State Park is amazing. 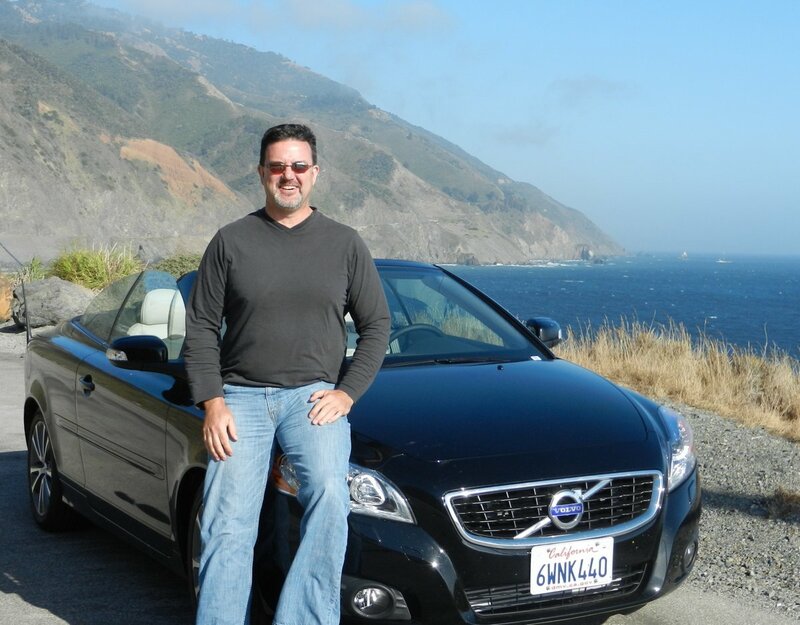 We had decided to splurge and reserved a rental car, when we picked it up we decided to splurge just a little more and get a Volvo C70 T5. It was an awesome car and perfect for this trip. There were 12 miles on the car when we started and over 1700 when we turned it in 8 days later! When we got to the Malibu area, my wife (fiancée at the time) who grew up in San Fernando Valley, recounted some of her memories of the beaches along this stretch of highway growing up. I had very different experiences growing up in Iowa. We’ve visited there a couple of times and I’ve had my shot at sharing memories. I was glad to hear some stories of her life growing up. It is amazing to me how quickly a place will bring memories floating back to the surface. Highway 1 merges with the 4 lane Highway 101 in Oxnard and wanders back to the coast as you leave the city and head toward Santa Barbara. 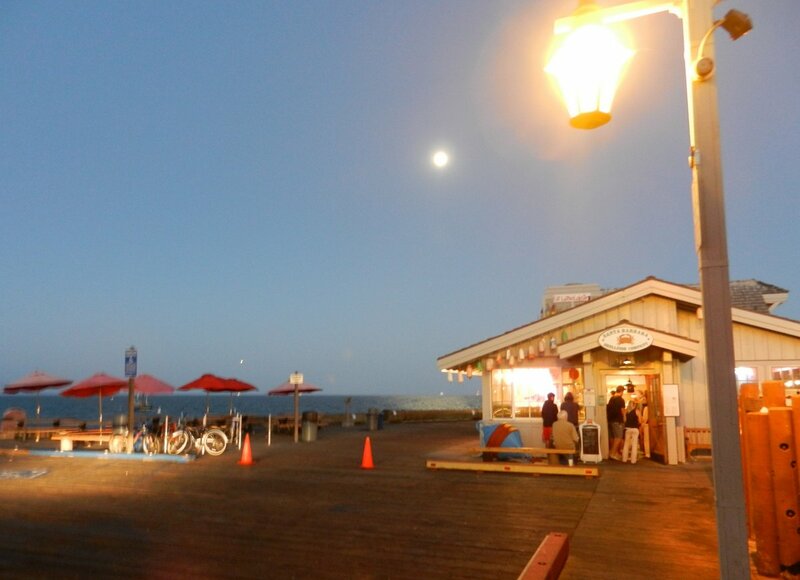 We decided to have dinner in Santa Barbara on Stearns Wharf. Dinner was good, but the view out the window was spectacular. 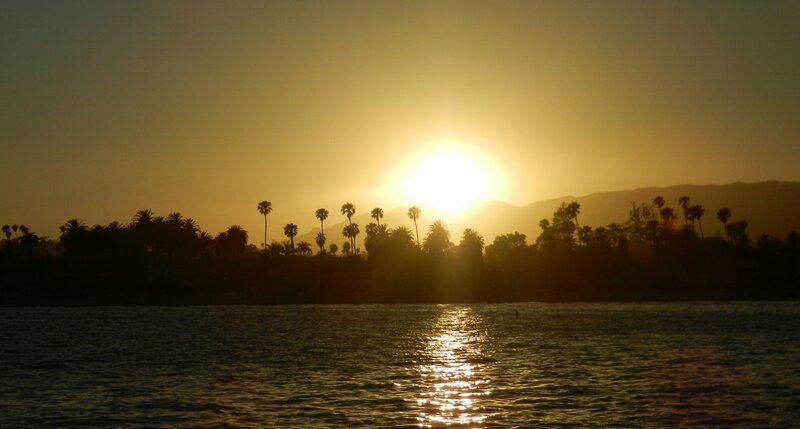 I took the picture at the top of the post of the sunset over Santa Barbara from our table about half-way through dinner. The night before the trip we had been playing around with my camera a Nikon Coolpix S9100 by taking some pictures in the dark near Del Mar California after seeing Train at the San Diego County Fair. On the camera’s screen the pictures had looked great, but they were darker and blurrier on the computer once I transferred them over. After dinner we decided to play around with the camera again to see if it could take low light pictures as well as it had appeared the night before. The pictures looked great again on the camera’s preview screen and this time they looked as good once we transferred them. I would recommend the Nikon S9100 if you enjoy taking low light pictures. I did not have a tripod, but I did brace the camera against whatever I could find in the area to get clear, steady shots. Here are a few examples of the pictures we took (none of these pictures were modified on the computer, except minor cropping). In this first picture it is hard to tell that it is completely dark outside when I took the picture. The moon is in the sky not the sun. 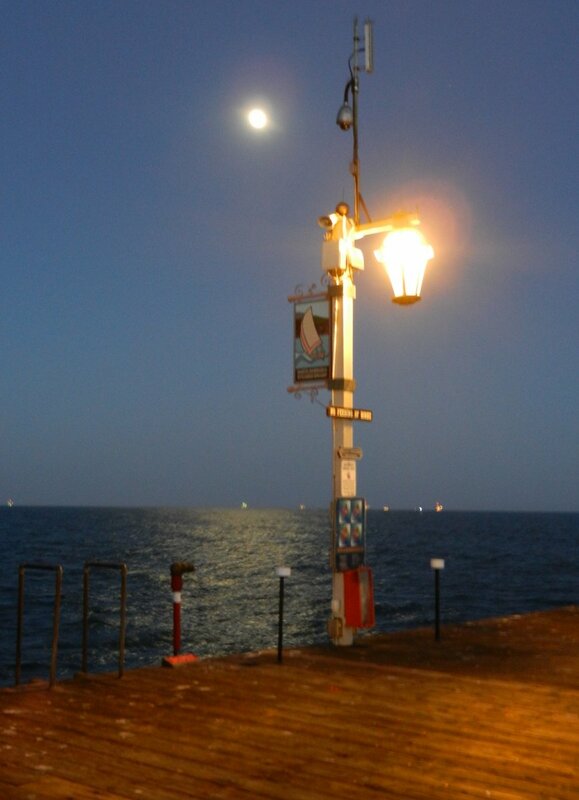 I love the warm color of the wood, and the distant shimmer of the moonlight on the water off the end of the wharf. In the second picture I tried to frame it so you could tell that it was dark outside. By putting more light into the original frame the background darkened. This gave the wood an even warmer tone, and I love the blue of the sky and the water. 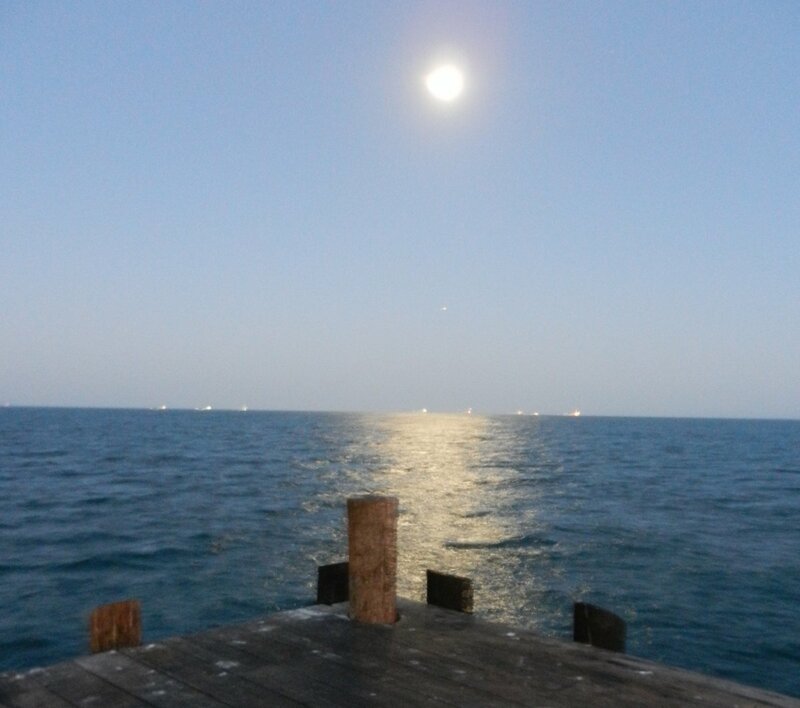 The glow of the moonlight on the water shows up again in this picture. This actually looks very close to the way we were seeing it with our eyes, which is what I was trying to capture. This last low light picture is one of my favorites. It reminds me of an impressionist painting. The texture of the water is really cool and the moonlight on the water could not have come out better. I’m surprised by the variety and intensity of the colors under such low light. On the way back to our car we had someone snap one more picture with us in it. I turned on the flash so you could see our smiling faces, but again some of the background came out surprisingly strong. I didn’t particularly want to leave the recycling bin in the picture, but didn’t want to cut the classic California glow through the palm trees on the horizon either. 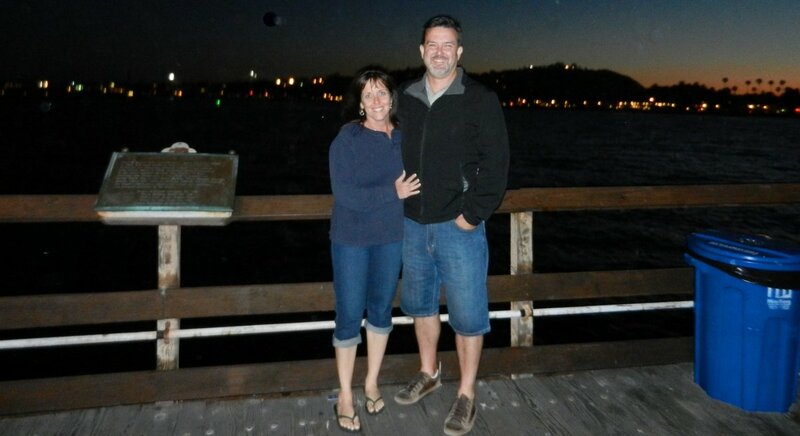 We drove about another 90 minutes and stayed at the lodge on Vandenberg Air Force Base. Since I’m a retired Marine we stay on base lodging when it fits into our travel plans. This can save a lot of money. In this case, it was a very comfortable place to sleep and Vandenberg was located perfectly between day 1 and day 2 of our road trip. On day two we drove over to Pismo Beach for breakfast. During planning I had noticed that there were a number of restaurants on Pomeroy Avenue right by the pier. This made it easy to just stroll down the street and pick one that looked good. For breakfast we had omelets at Chele’s Food & Spirits. Chele’s provided an ocean view, good food, and good service. After breakfast we decided to take a quick stroll down the pier to take some pictures. This first shot from the pier is looking back up Pomeroy avenue. 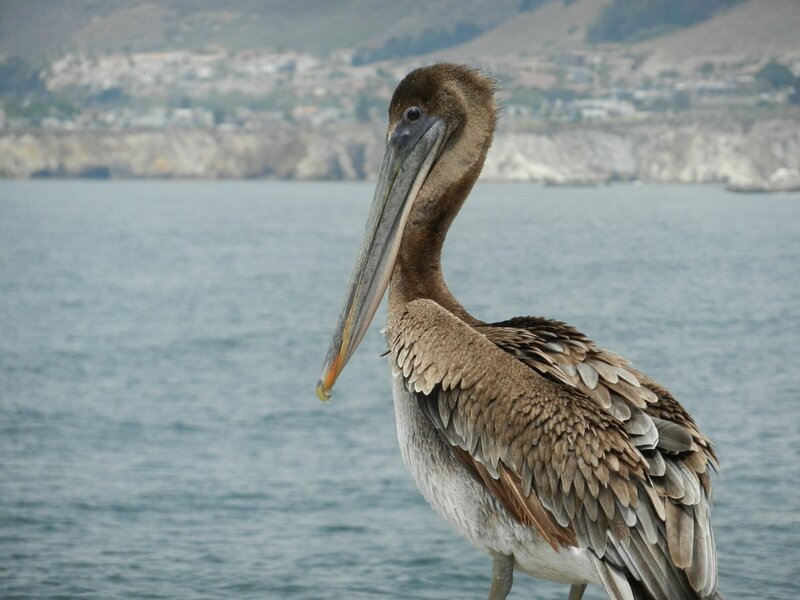 There was a Pelican at the end of the pier, and although he was keeping his eye on us, I managed to get close enough to snap this picture. .
We had slept in a bit, so we had just enough time in Pismo Beach to eat, snap a few pictures, and head north to make it to our afternoon tour of Hearst Castle’s Upstairs Suites. 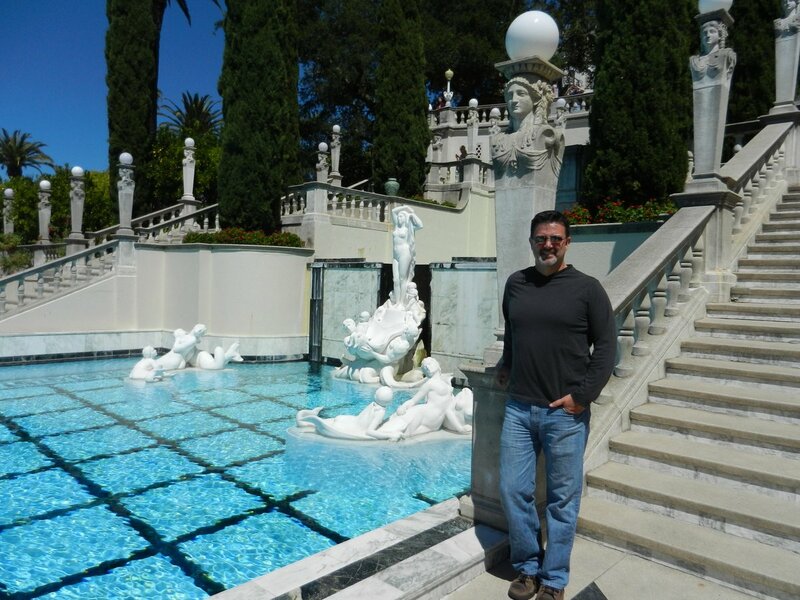 I love the stories of how Hearst Castle came to be, and I love the place. Not just the structures but the views, remoteness, and of course the Neptune Pool. 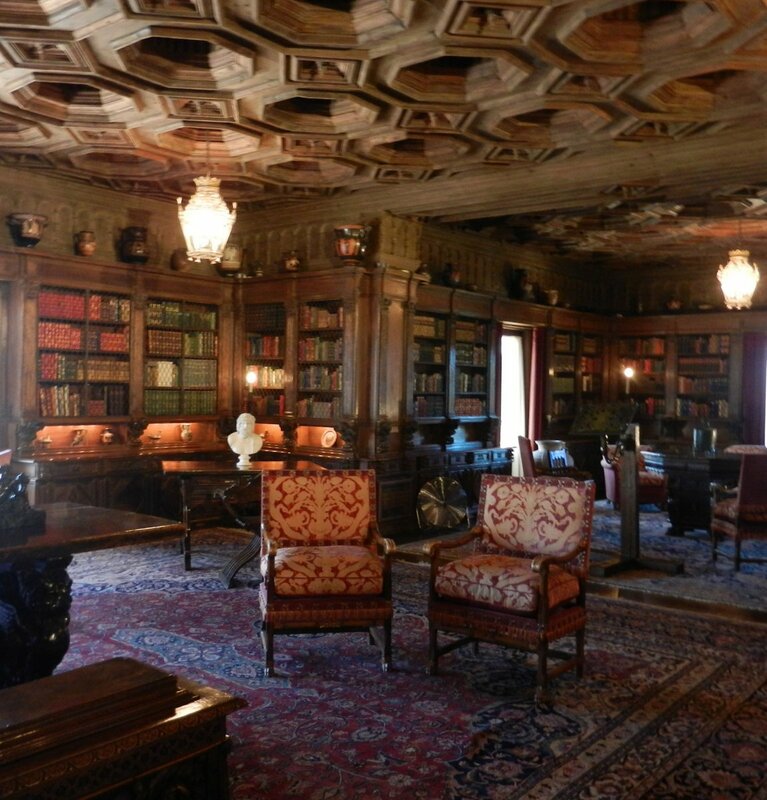 Our time at San Simeon started with a tour of the Upper Suites including the private suites of William Randolph Hearst and Marion Davies. 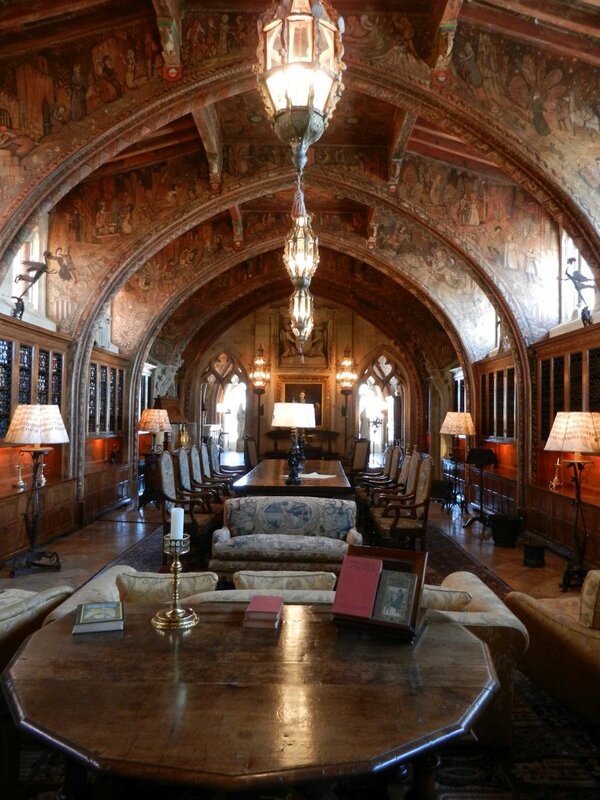 and William Randolph Hearst’s office. 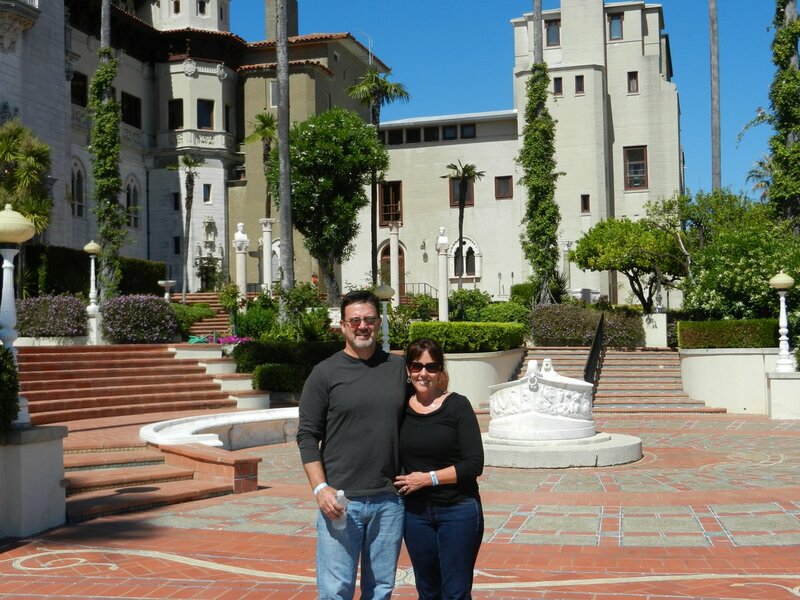 The Upper Suites tour was fascinating and seemed to give a more personal insight into life at San Simeon, but it was the gardens, grounds, and views that we loved the most. 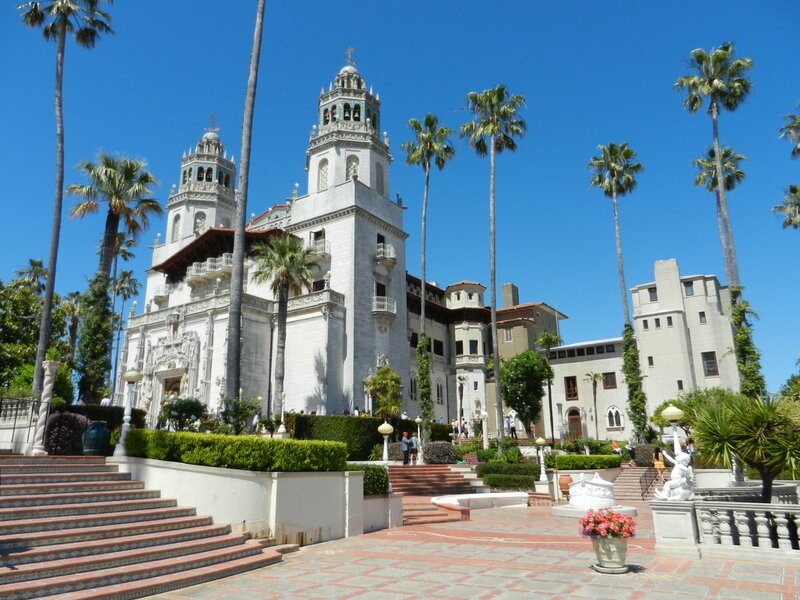 If you take a tour at Hearst Castle be sure to schedule plenty of time to walk through the grounds after the tour before heading back down the hill, and be sure to layer so you can get down to cooler clothing. We dressed too warmly for the tour. It was in the low to mid-sixties near the ocean. But once we got away from the sea breezes and fog, the temperature climbed. The view of the “Casa Grande” from grounds is impressive as are the gardens and statues. But we quickly overheated in our long sleeve shirts and headed toward the 345,000 gallon Neptune Pool. 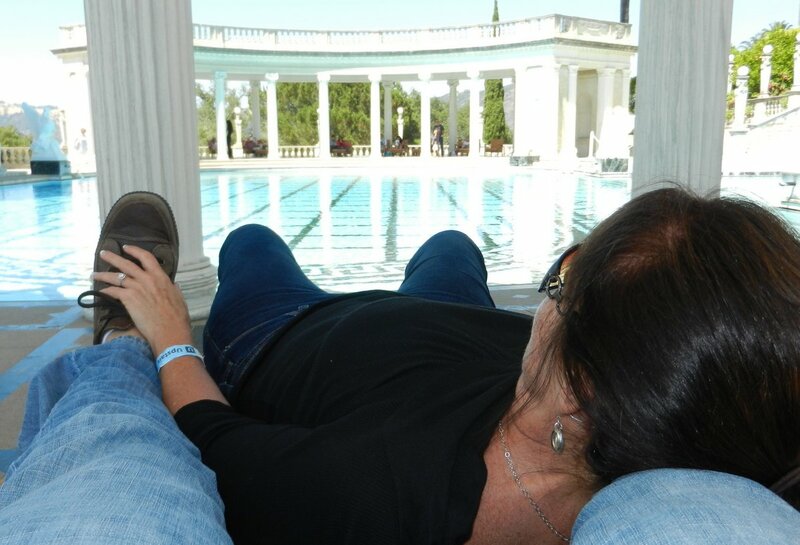 Unfortunately no one can swim in the pool and we weren’t dressed for it, but there are some comfortable lounge chairs in the shade of the colonnades near the pool. After cooling off we meandered around the guest houses and gardens making slow but steady progress toward the indoor 600,000+ gallon Roman Pool on the opposite side of the Casa Grande. We enjoyed the gardens, views, and a couple more lounge chairs in the shade on our way there. We caught the bus down the hill, ate lunch at the visitors center where we got a call from our wedding coordinator to wrap up some of the last minute details. 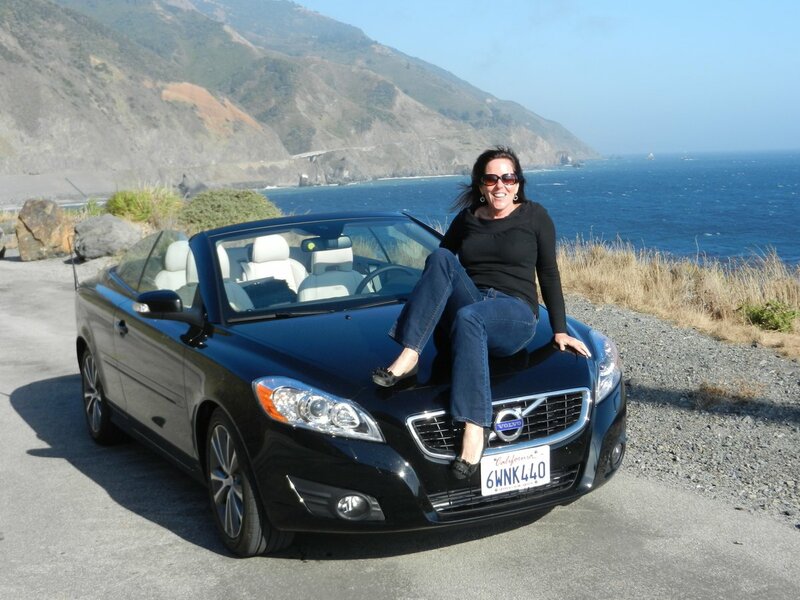 Then it was time to jump in the car, put the top down, and head toward Big Sur. The coast from San Simeon State Park to Big Sur Lodge in Pfeiffer Big Sur State Park, where we would be staying for the next 3 nights, can definitely be divided into two sections. 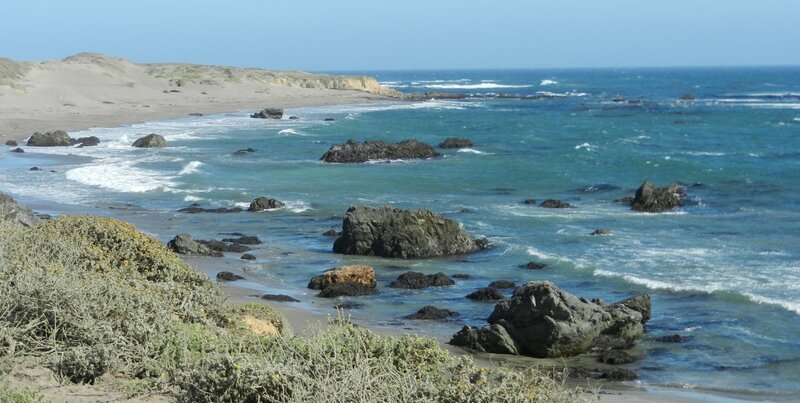 The southern part of the drive is beautiful and relaxing with constant view of the coast beside California Highway 1. The second part of the drive changes as the mountains come right up to the water and the road winds up and along the edge of some impressively steep drop-offs. The views of the coast and ocean are still right there… my knuckles were just a little whiter! The Volvo handled like it was on rails and the 5 cylinder turbocharged engine had plenty of power to climb the steep hills. I can not say enough about this car, we loved it and have put it on a short list for consideration the next time we need a new car. 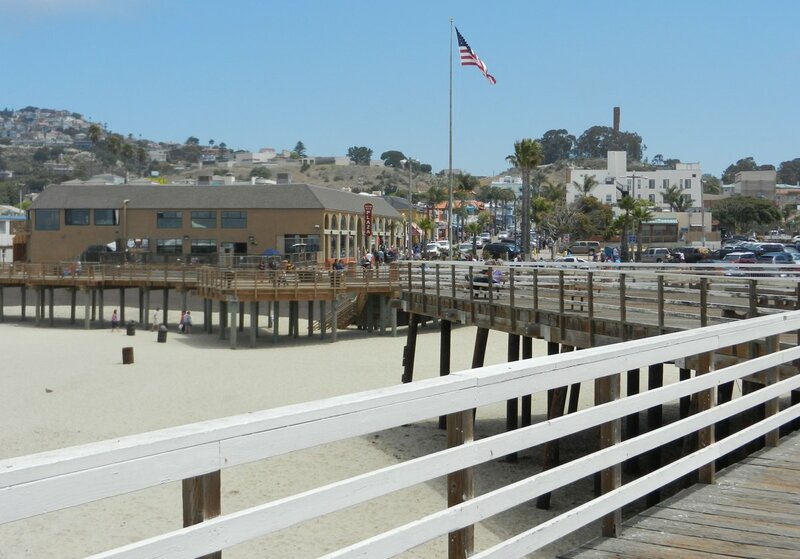 A view from Pismo Beach Pier up the California coastline. 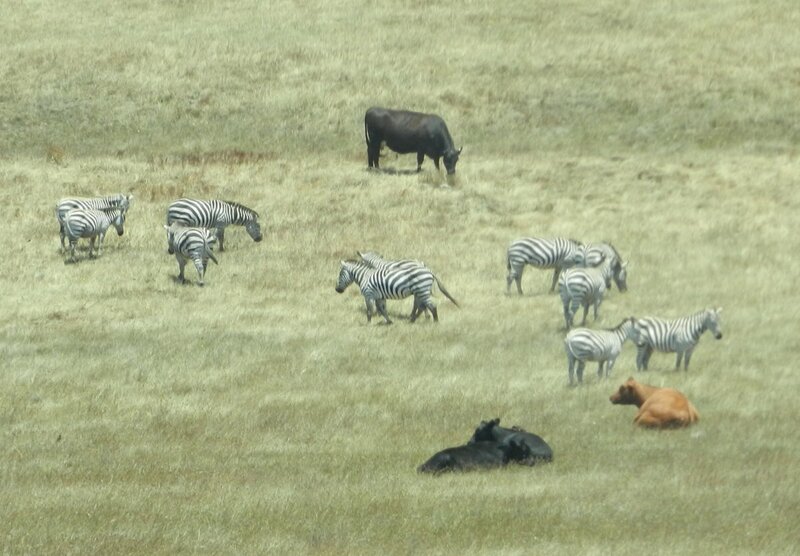 Some very happy California cows by the coast, and some zebra too – near San Simeon. Yes we dressed to warmly. No we didn’t layer. Don’t make the same mistake. It is not as cool on top of the hill as it is by the water. 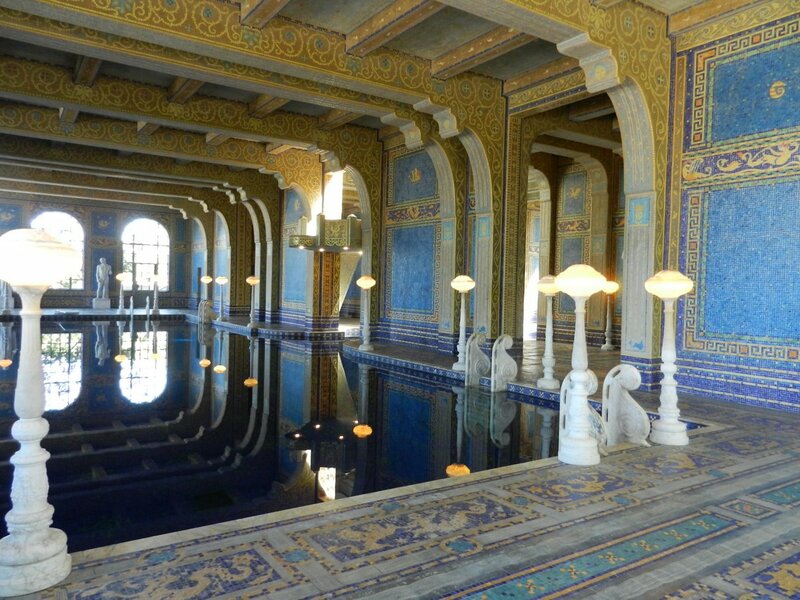 The “other pool” at Hearst Castle. The indoor Roman Pool was reportedly rarely used. Hey I want to show my love for the Volvo too! What a place to drive with the top down.